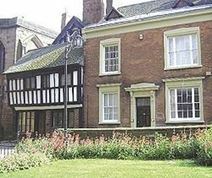 A perfectly-restored piece of 16th-century Midlands history, this timber framed property is the last remaining of its kind in this central Coventry zone and now offers your company the chance to be a part of it with a sizeable area of serviced offices available. An unbeatable combination of period ambience with tastefully refitted interiors and the best of integrated technology solutions - located in the heart of Coventry with the retail market and West Orchard a short distance away, nearby parking and a stroll from local shops, restaurants and other amenities. Easy access to A4114. Option to use virtual office services available. Make a smart impression with offices in this classic building ideal for small or start-up innovation-led enterprises - choose from nearly 40 small, good-value units incorporating heating, comfort cooling, raised access flooring and shared facility conferencing. Business centre situated in good transport linked area adjacent to main road and motorway networks including M6, M1, M69, A45 and A46, as well as convenient for local shops, supermarkets, restaurants, service stations and bus routes. This listing offers spacious, modern and newly refurbished office space in the heart of Coventry. The office building has office suites which are suitable for any small or medium sized business. The office units have kitchen and bathroom facilities and private meeting rooms. The office space has CCTV surveillance and 24 hour access. Coventry Train Station is situated a short ten minute walk from the office space. Perfect for small to medium sized companies, this centre offers great amenities including WiFi, break-out and lounge space, IT support, CCTV security and 24-hour access. The space is easy to access with buses passing regulary, as well as easy access to Coventry City Centre, and Birmingham. Canley Train Station is less than a 10-minute walk away, and provides regular services to Coventry, Birmingham and London Euston. This set of 9 luxury offices in west Coventry comes with allocated parking, a ready-to-use IT and telecoms infrastructure, and flexible monthly terms. 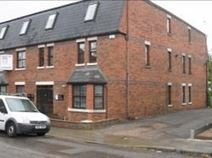 It has round the clock access and is within easy distance of the motorway and city centre. Variety of office sizes available, from 1-2 people to 4-5. This 24-hour accessible centre is well located in Coventry, and is easily accessible via rail with Coventry station less than a 10-minute walk away. Local buses pass close by and Birmingham International Airport can be reached in less than 30-minutes by car, as well as by rail. There are a range of cafes, bars and restaurants in the area, and the space offers an array of on-site amenities, such as; Access to a kitchen, free on-site parking, meeting room availability, training rooms and bike racks for those cycling to work. This centre is accessible 24-hours a day. Located in the heart of Coventry, this centre has great access to parking spaces as well as the railway station, which has connections to London and Birmingham. Just 12 miles away is Birmingham International Airport, and there are a range of hotel options across Coventry, which visitors could make use of. The space is accessible 24-hours a day, and offers a range of useful on-site amenities for tenants. A great range of on-site amenities are offered at this business space and include professional meeting room availability, a cafe/restaurant, a security system, plenty of parking spaces and reception services with telephone answering. There are good transport links, with Birmingham New Street Railway Station easily accessible, along with Coventry Station, various bus routes and Birmingham International Airport. This space is in the heart of Coventry City Centre, and is surrounded by the business district as well as the shopping area of the city. Two minutes away from Coventry Railway Station, London Euston, Birmingham International and Birmingham New Street are within easy reach. The M6 and M42 are close by. Meeting rooms are available, along with administrative support, an on-site management team and break-out spaces. 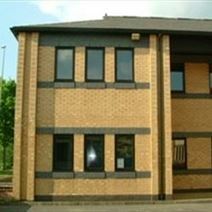 With recently refurbished office suites in a variety of sizes this well-located office building is located in a predominately residential with some industrial area on the north side of Coventry, a short distance from the city centre. 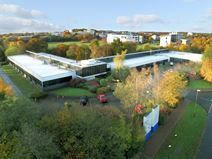 Ideal business location for high technology start-ups and SMEs in these incubation units in relatively modern building within attractively landscaped Science Park just over 5 miles from Coventry city centre. Unfurnished ground-floor units, a number with loading bay doors, fitted with carpets, blinds, kitchenette facilities, night storage heaters, metered electricity and option to have ISDN and ADSL broadband. Can be modified into office, workshop or lab spaces according to operational requirements. 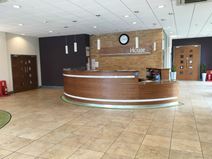 Tenants benefit from staffed reception with phone answering/message service, photocopy and fax service and meeting rooms. Opportunity to access business support services including finance, marketing and student placement programme. Onsite first-come first-served parking and pleasant conservatory café. Nearby amenities include Cannon Park retail centre, cafés, restaurants, arts centre, library, bookshops, supermarkets and banks in local area, with A45 motorway link a breath away by car. Well-serviced business premises set in beautifully-maintained Grade II-listed building in central Coventry’s business quarter. Fully furnished office suites and meeting facilities available to hire on very flexible terms with option to use support services such as IT and secretarial. Self-contained property houses staffed reception, several meeting rooms, cybercafé and provides catering and parking onsite. 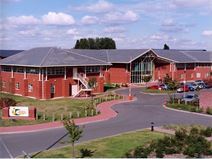 The centre is 5 minutes’ walk from Coventry rail station and benefits from abundant bus, train and airport links. In one of the most desirable areas of the city sits this substantial brick building, home to a quality serviced office centre. The area is a vibrant one, attracting both businesses and residential. This modern building consists of three offices and a large open-plan office space, provided with kitchen and parking facilities and sophisticatedly decorated. Conveniently located in Coventry's business district, along one of the major roads of the city, the building is surrounded by numerous companies and a variety of amenities and enjoys easy connections to the motorway network and the surrounding areas.